Tennessee looks to bounce back after a season-opening loss to West Virginia when they host East Tennessee State on Saturday for their home opener of the 2018 season. 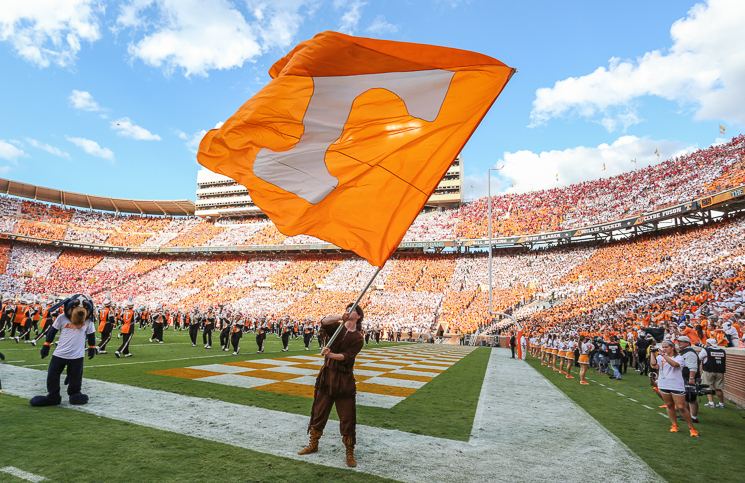 The Vols (0-1) will welcome in ETSU (1-0) for an afternoon kickoff on Saturday. The game will mark Tennessee head coach Jeremy Pruitt’s first game as UT’s head coach in Neyland Stadium, and he’ll be looking to earn his first ever victory as a head football coach. ETSU’s head coach, Randy Sanders, earned his first career victory as a head coach last weekend when ETSU downed Mars Hill 28-7. Sanders is a former player and offensive coordinator for the Vols, and he’ll be coaching against Tennessee as a head coach for the first time ever. Sanders coached against the Vols as an assistant/offensive coordinator with Kentucky from 2006-12. Can’t make it to Neyland Stadium for the game today? We have all the information you need to watch or listen to the Tennessee vs. ETSU game on Saturday.